The LPCC has a variety of sponsorship opportunities available – choose one to take advantage of additional rewards and exposure. For starters, check out a list of our current sponsors. Support the Lincoln Park business community while positioning yourself as a neighborhood leader through Platinum Sponsorship. 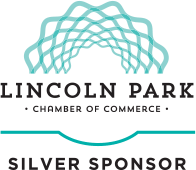 Platinum Sponsors expand their influence and visibility with Lincoln Park businesses and community leaders. Benefits can be customized to meet your business goals and needs. This opportunity includes event sponsorship, advertising, special recognition as a Gold Sponsor and one-of-a-kind events that provide you with an unprecedented chance to interface with business and community leaders, while placing you at the forefront of the Lincoln Park business community. Like Platinum Sponsorship, many of the benefits of being a Gold Sponsor are customizable. Build on the unique benefits offered to our Chairman’s Club members with a Silver Sponsorship with the LPCC. This membership level offers more visibility within the community and the organization. Receive special event benefits and unique publicity and recognition that helps promote your business. Position your business as a prominent member of the LPCC by becoming a member of the Chairman’s Club. 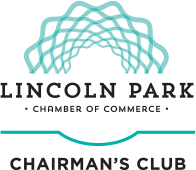 Showcase your business by hosting one of Lincoln Park Chamber of Commerce’s (LPCC) popular events and be rewarded with new business and community contacts, along with potential customers. Learn more about event sponsorship.